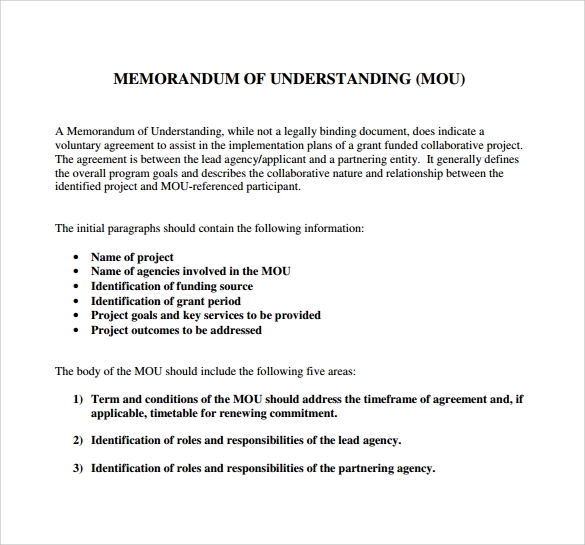 I hope that you are here because you are looking for the best Memorandum of Understanding Template. 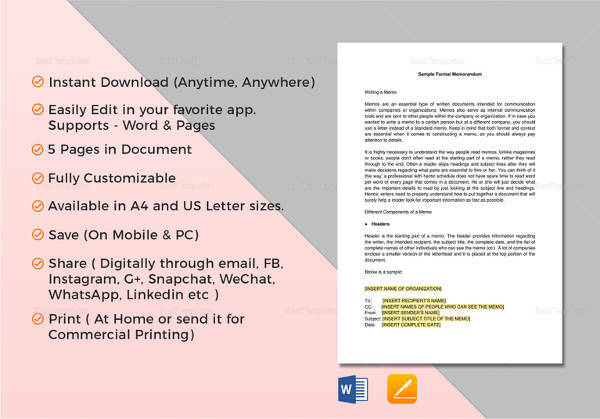 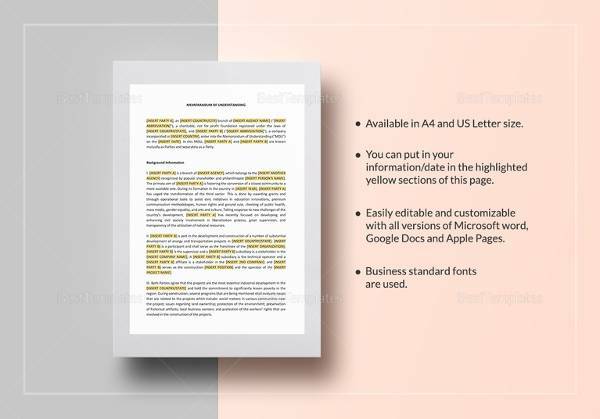 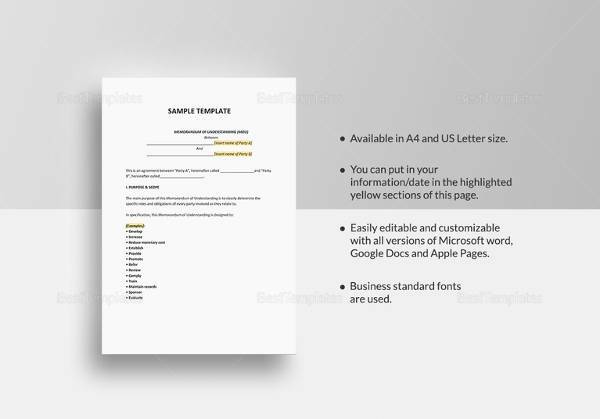 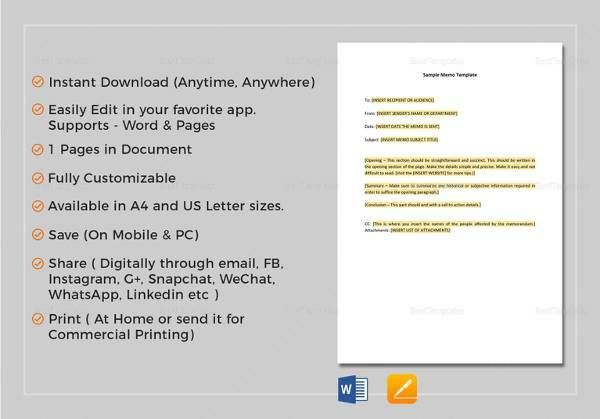 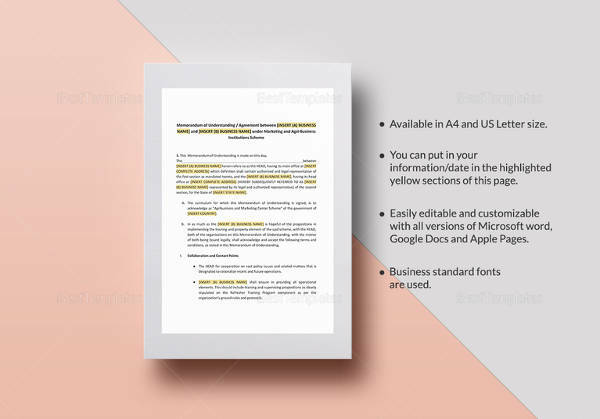 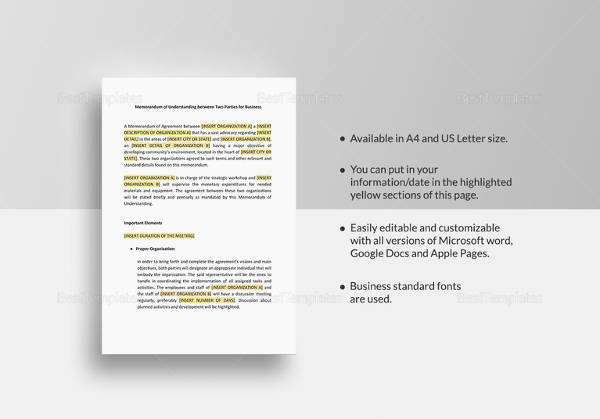 You can browse through the list of Business Templates available on this page, and then download and use a MOU template that pleases you. 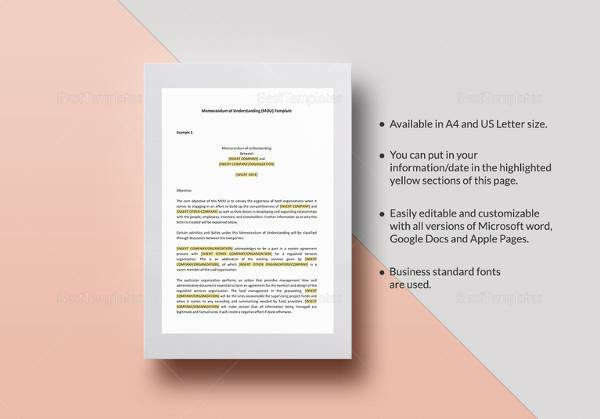 Find multiple MOU templates on a single page, saving you time that you would otherwise spend browsing multiple websites on Google unnecessarily. 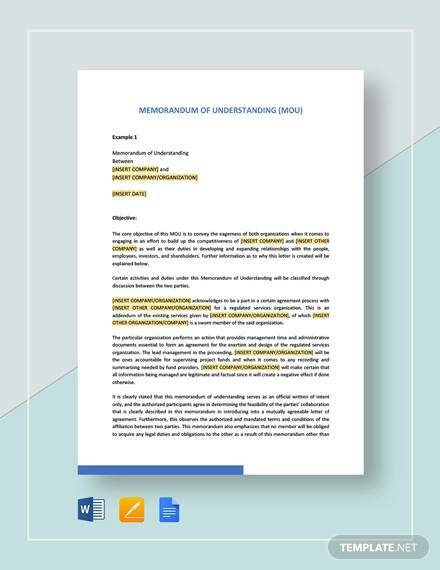 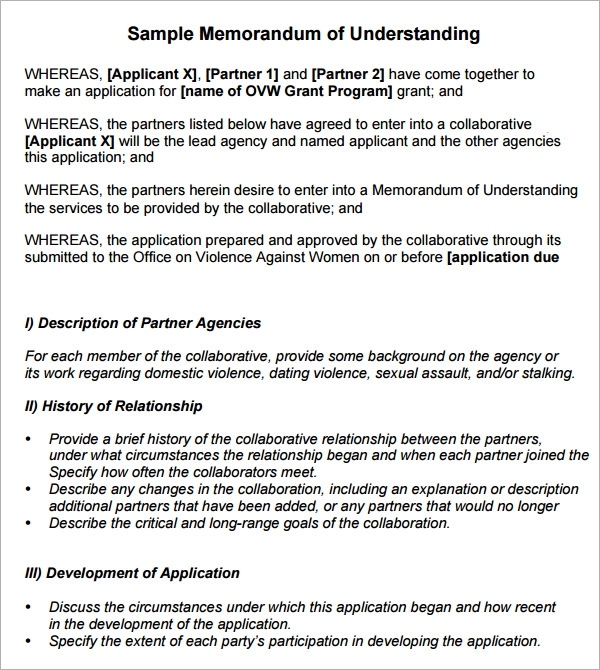 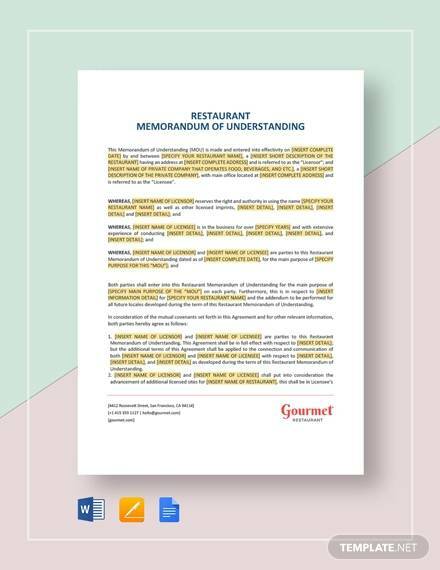 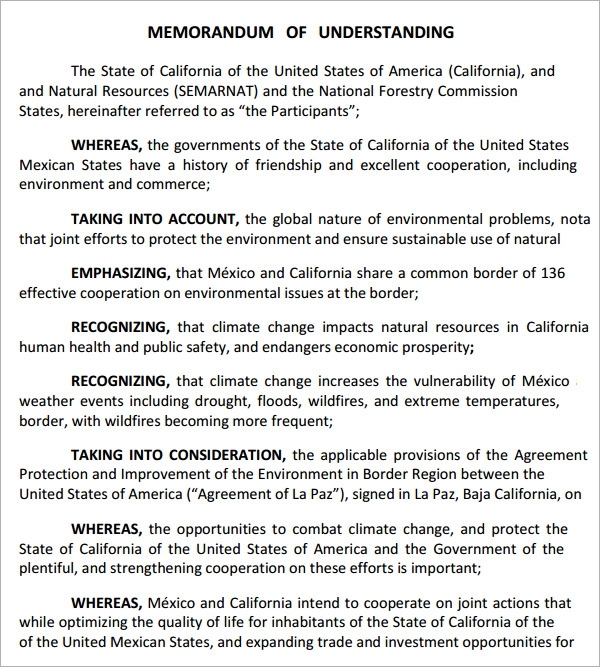 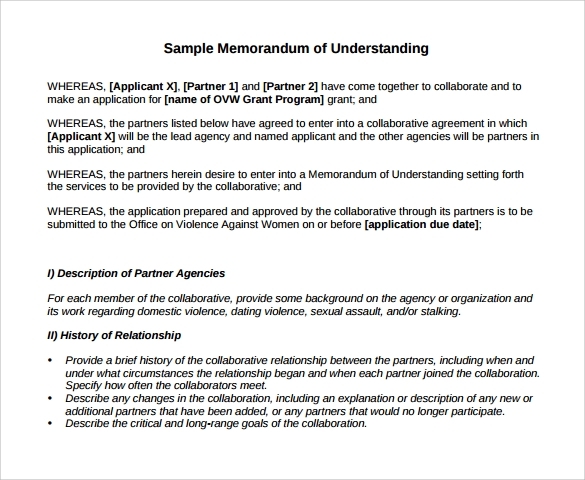 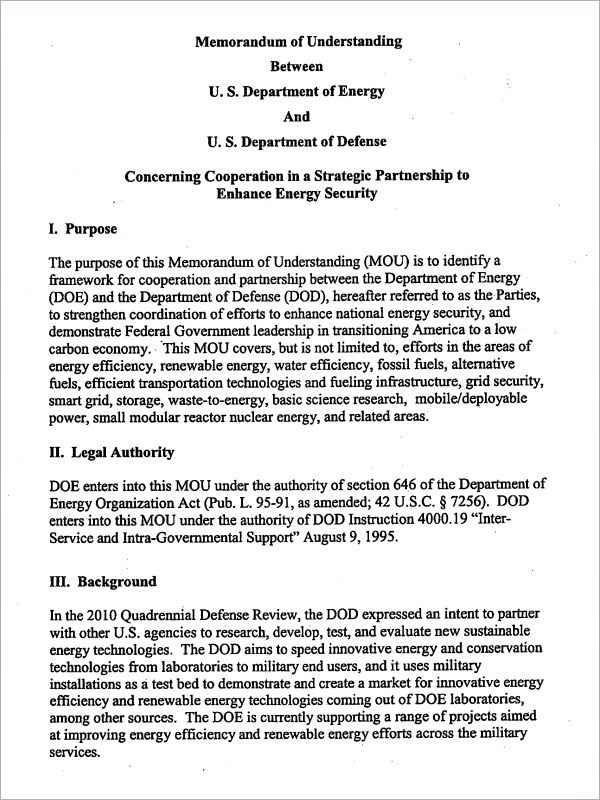 A Memorandum of Understanding is a written agreement between two people or among many, who make the agreement to come together for a common goal. 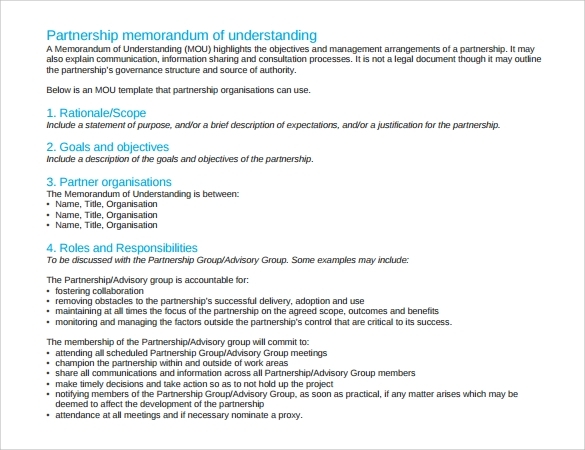 The agreement is not always legally binding as it is with a contract. 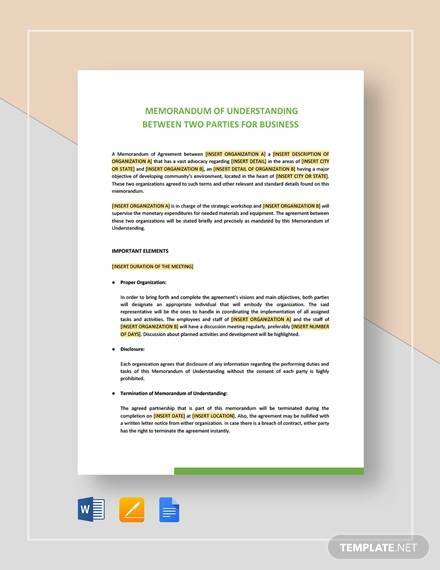 Instead, it focuses entirely on just the agreement to come together to form a startup, or start and complete a project, usually with a common goal of ensuring that the project is a success. 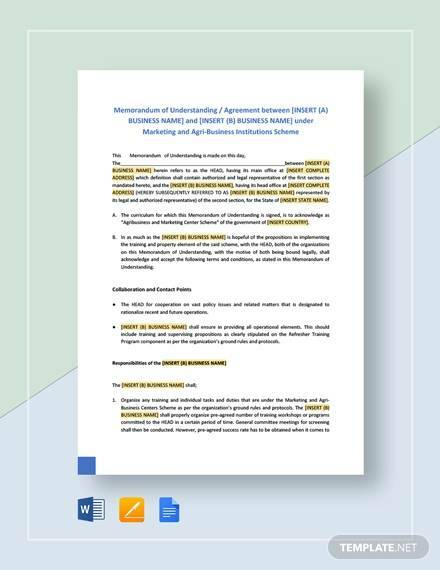 There is no money data to be recorded in a Memorandum of Understanding, and the reason is that it focuses entirely on non-profiting venture. 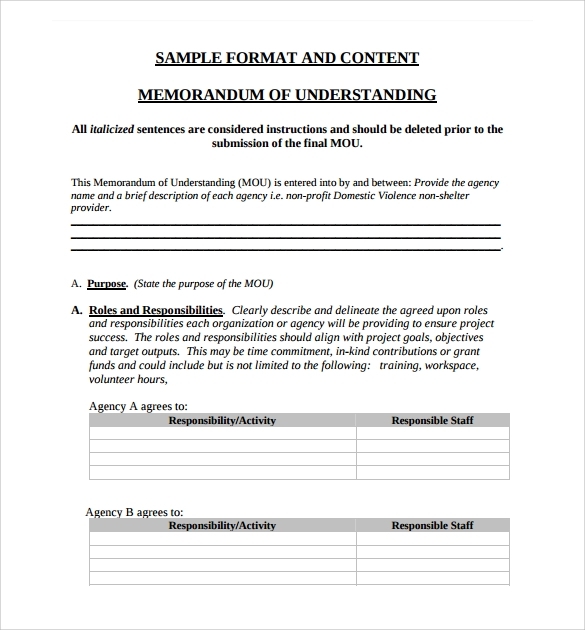 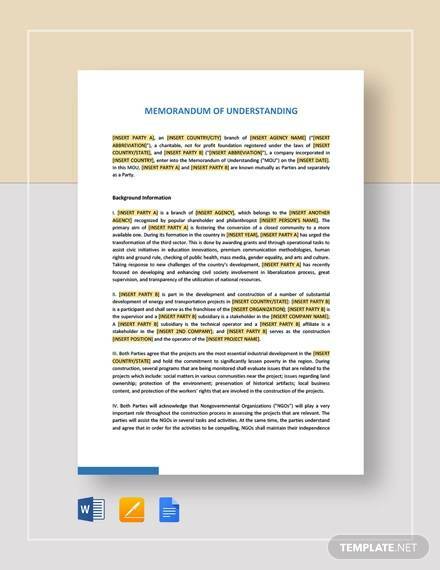 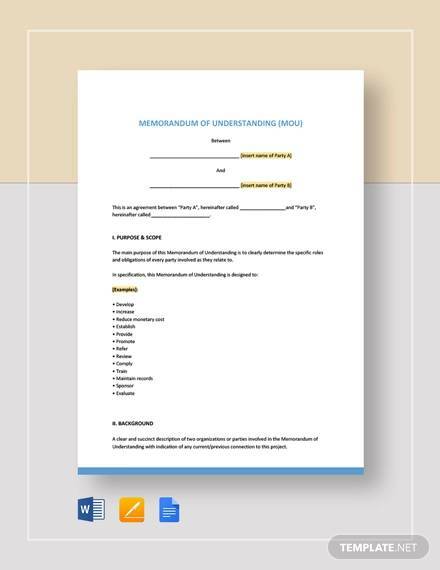 This makes a Memorandum of Understanding template a single most valuable tool only for non-profit organizations who would like to join up with professions to create a startup or do a project for a given course for a common good, usually a sense of accomplishment or satisfaction.